1101 Norris Dr., Pawleys Island, SC 29585 (MLS #1815791) :: James W. Smith Real Estate Co. 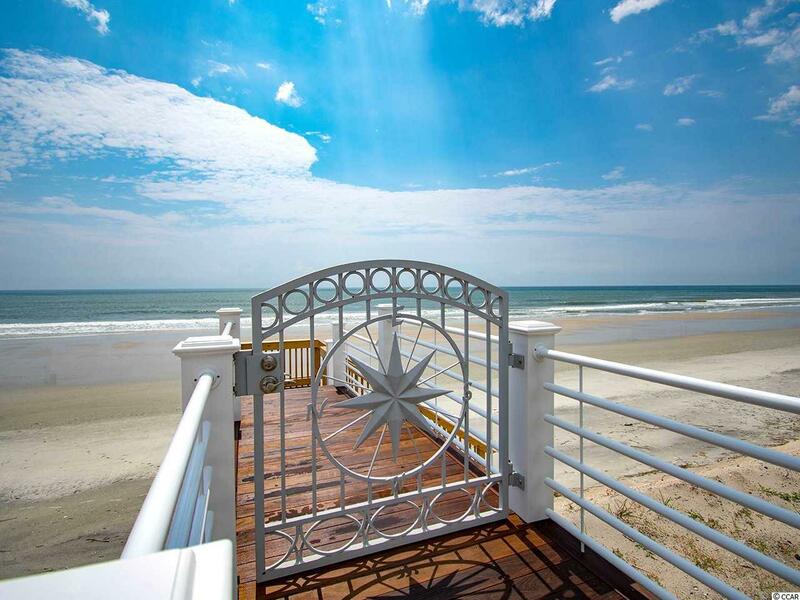 This majestic oceanfront home was purposely designed to have miles of unobstructed panoramic views of the Atlantic Ocean from north to south. 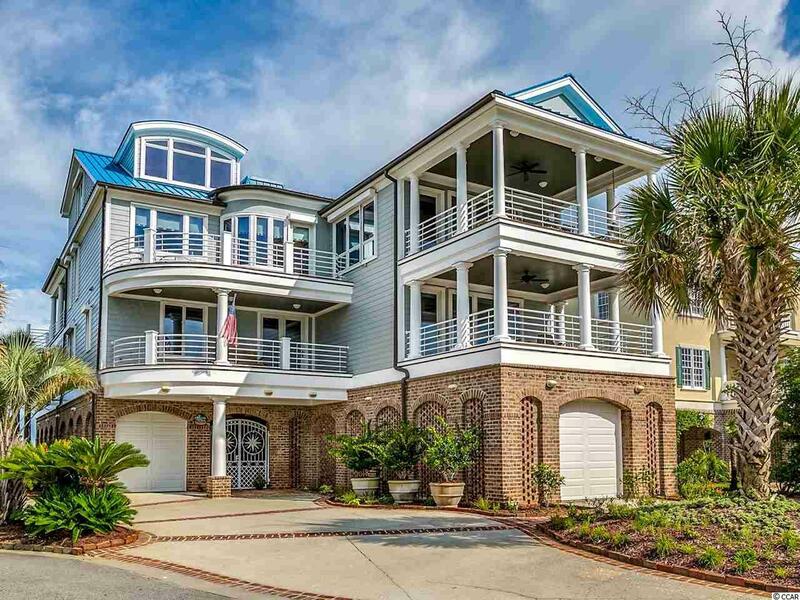 Located on what is known as The Peninsula at Inlet Point South, you are immediately drawn to the unique architectural style that conjures thoughts of being on a ship. Upon entering the 8-bedroom, 6,100 HSF home, one of the first things that you will notice is the impeccable woodwork, and the huge open room overlooking the ocean. 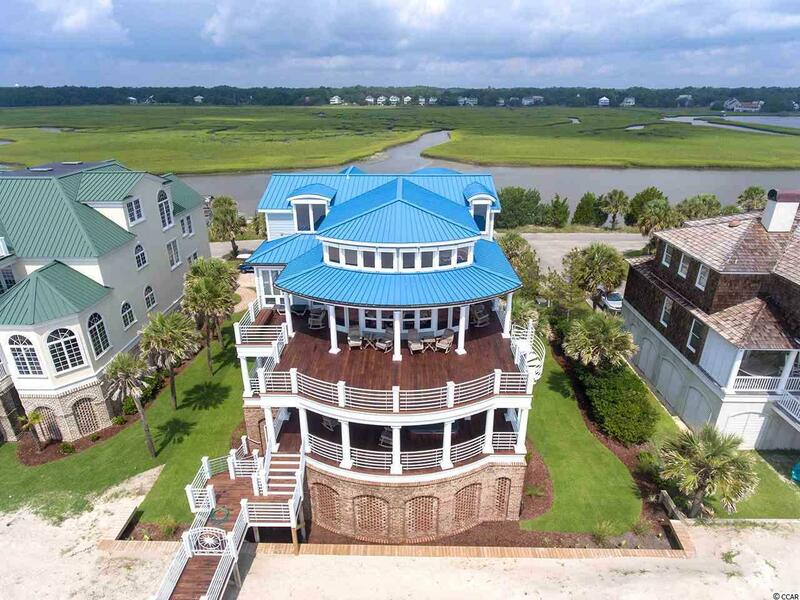 Besides offering some of the most captivating views of the ocean from its expansive decks, it is also situated on a tidal creek with incredible marsh views and a private floating dock. Where else can you spend a day relaxing on the beach enjoying the sun and sand, then walk out to the creek for fishing, paddle boarding, kayaking, jet skiing and crabbing? An architectural dream, this house was built by the original owners who have made this their permanent residence for 19 years, but now has become a high-end vacation rental property. 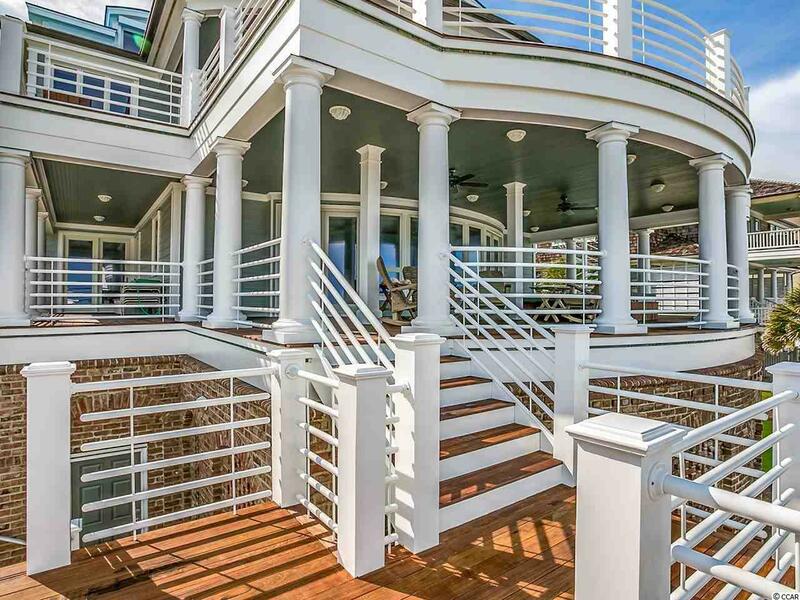 It was built to withstand the ocean environment with Hardiplank siding, fiberglass columns, PVC bands, and PVC posts. In fact, the only wood on the exterior of the home is the soffits. You will never see more attention to detail or a house more exquisitely maintained. The owners have meticulously worked to preserve the house in top condition. It is handicap accessible featuring 36 wide doors in every room, a walk-in shower, handicap level switches and plugs and an elevator that services all three levels. The home features an inverted floor plan, and every window and deck have an ocean and/or marsh view. Interior upgrades include foam insulation, three Geothermal pumps (one on each level), fire suppression system, Lutron system for one touch lighting, an emergency generator and hurricane shutters on all windows to withstand 125 mph winds. The fireplace in the room overlooking the marsh has a custom seashell facing with shells found by the owners on Litchfield beach. This exclusive community also features lush landscaping, 24 hour guarded security, a tastefully designed swimming pool and a community boat ramp. South Litchfield is located approximately 60 miles north of Charleston,15 miles north of historic Georgetown, and just 10 miles south of Brookgreen Gardens. It is a rare opportunity to find such a gem as 1101 Norris Drive. Kitchen Range Work Island Dishwasher Garbage Disposal Refrigerator Microwave Breakfast Bar Double Oven Stainless Steel Apps.